Christoph Duerr, 26, and LeVeck Roberts, 21, have been sentenced to life in prison for the murders of Ricco Furbert and Haile Outerbridge, with both men ordered to serve a minimum of 25 years before eligibility for parole. 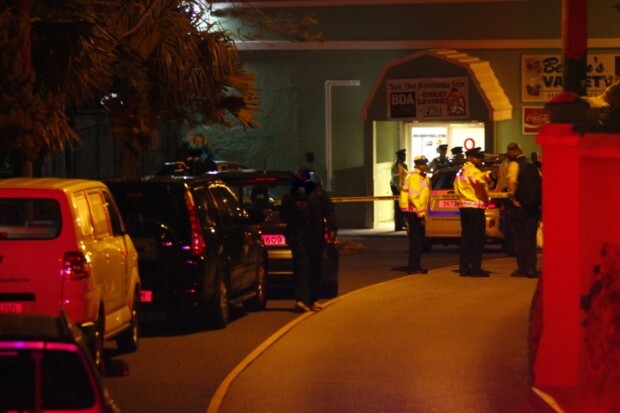 Mr Outerbridge, 34, and Mr Furbert, 25, both sustained fatal wounds after being shot multiple times while inside the Belvins store on Happy Valley Road on January 23 2013. Following an extensive manhunt and house-to-searches in the Somerset area in January 2013, Duerr gave himself up to police, while Roberts was not found immediately in Bermuda and was eventually located in the USA. Bermuda authorities requested and got Roberts extradited to Bermuda. On Roberts’ return to Bermuda in August 2014, he was charged with the murder offences and was also remanded into custody. Their cases were joined and both went on trial in the Supreme Court, where they were both found guilty, and remanded in custody until their sentencing today.